This photo is taken from Chapman Street, not far from Limestone Avenue. The original caption (Batman Street) must be wrong because Batman Street does not line up with the Sydney Building. I particularly like this photo because it shows the the Sydney and Melbourne buildings clearly even though they are are a kilometre away. 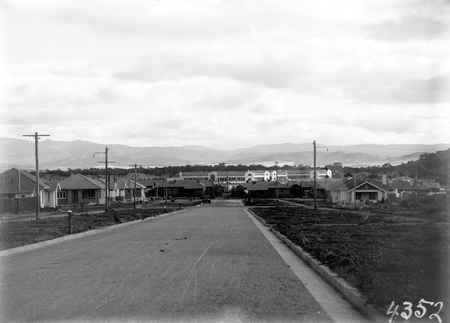 The house on the far left is immediately before the intersection with Gooreen Street. The house still exists and is surrounded by the famous 'monster hedge', which I'm glad was preserved. The next house, on the other side of Gooreen Street, has been demolished and replaced by a set of flats ironically called Heritage Corner. The house on the far right still exists and now has the gable painted white and the verandah enclosed. At the end on the other side of Elimatta Street are the two symmetrically placed FCAC C6 houses either side of the walkway into Civic. The two fire hydrants on the left also still exist. 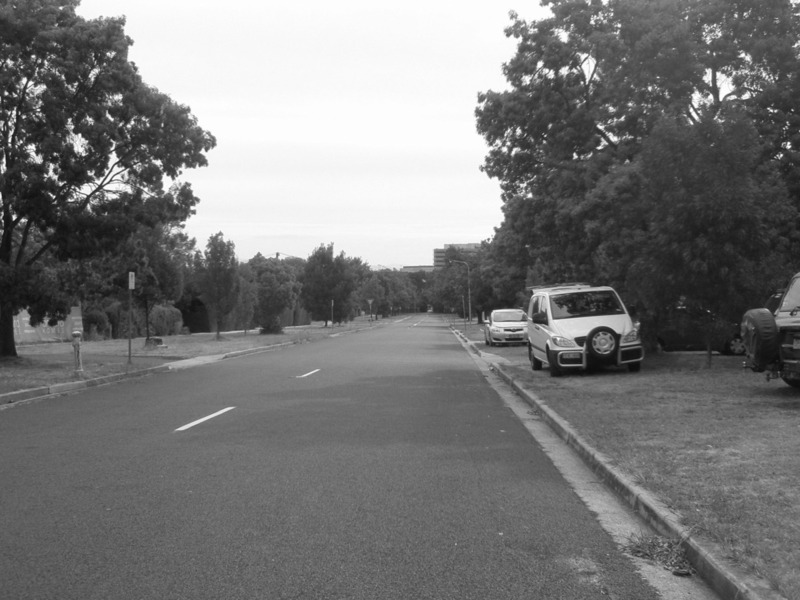 Looking down Batman Street, Braddon, towards Civic Centre.